Some days, life gets a little hairy; other times, we just need to walk on the wild side. Whether you just got back from the safari park or life at home is a bit like living in the zoo, you can make the perfect pages fast with Where the Wild Things Are. 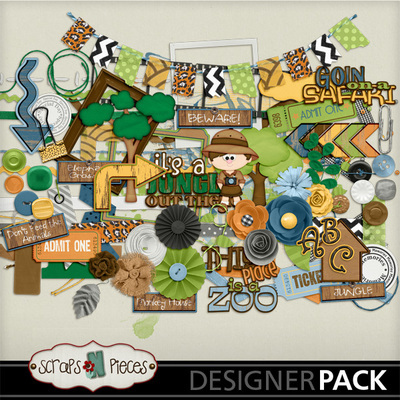 This fun, animal-inspired kit has everything you need to make a wild page. 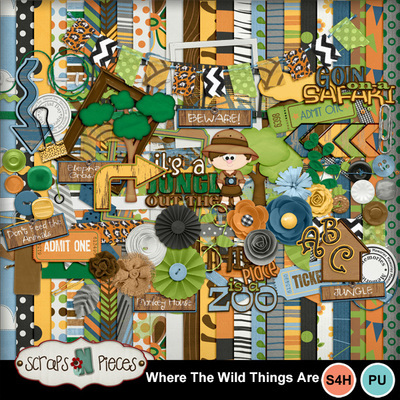 There are plenty of trees and greenery, a man on safari, thematic word art, tickets, and a fun alpha. 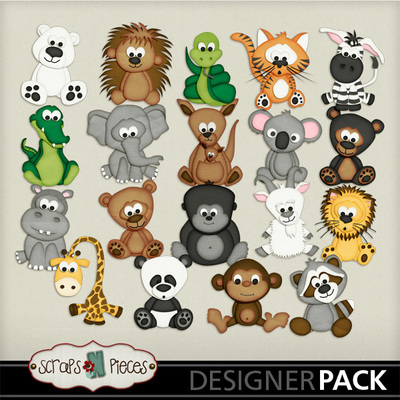 There's also an adorable animal pack containing some zoo favorites, ranging from the traditional lions, tigers, and giraffes to more unexpected critters like porcupines, crocodiles, and polar bears. 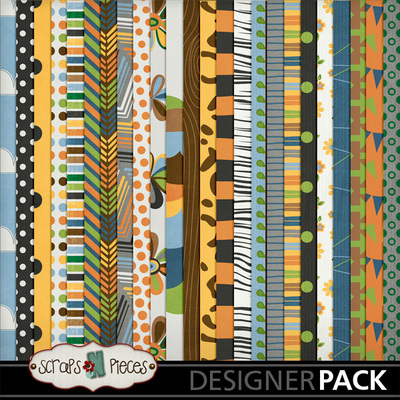 Whether you love animal prints or prefer more traditional patterned papers, this kit has you covered there too. So check out Where the Wild Things Are… and embark on your own personal scrapping safari.